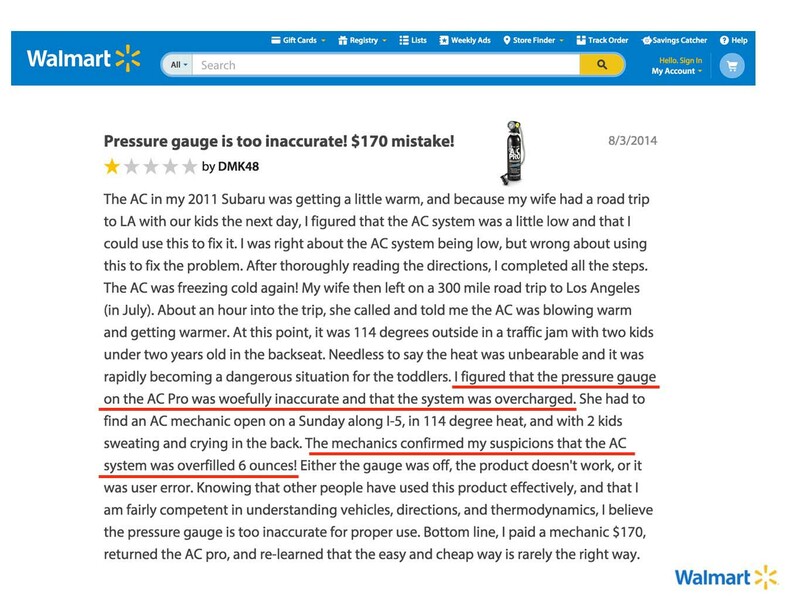 Why no Gauge? 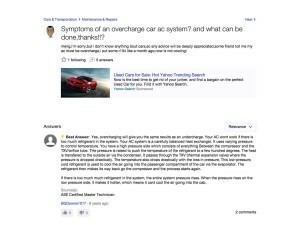 AC Overcharged? 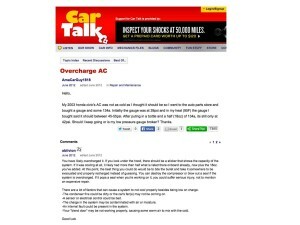 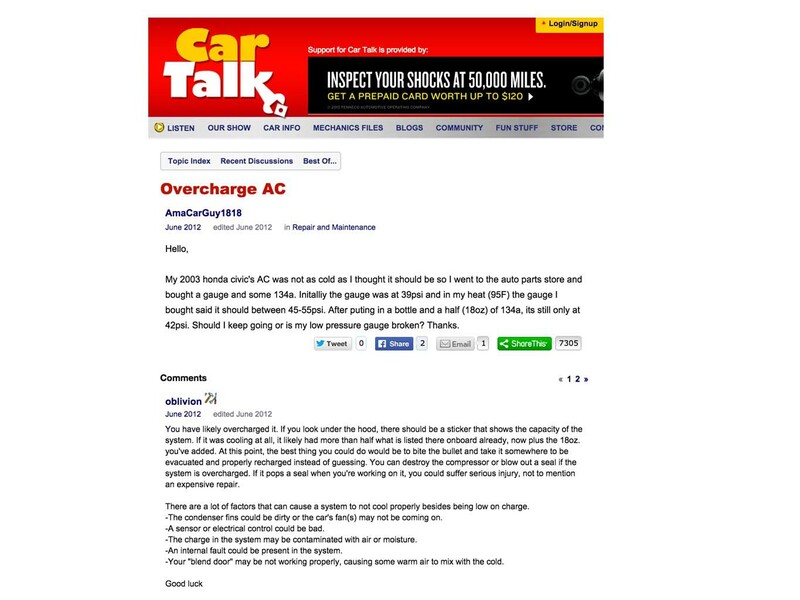 Is your AC Overcharged? Why not use a low-side gauge to see if your system is charged correctly? 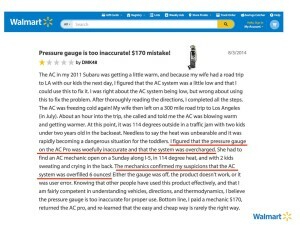 Because low-side gauges do not work on many of today’s vehicles. 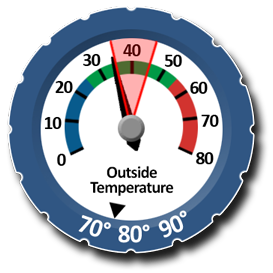 Modern A/C systems use a Thermal Expansion Valve (TXV) with a sensor bulb, which can cause inaccurate pressure readings! 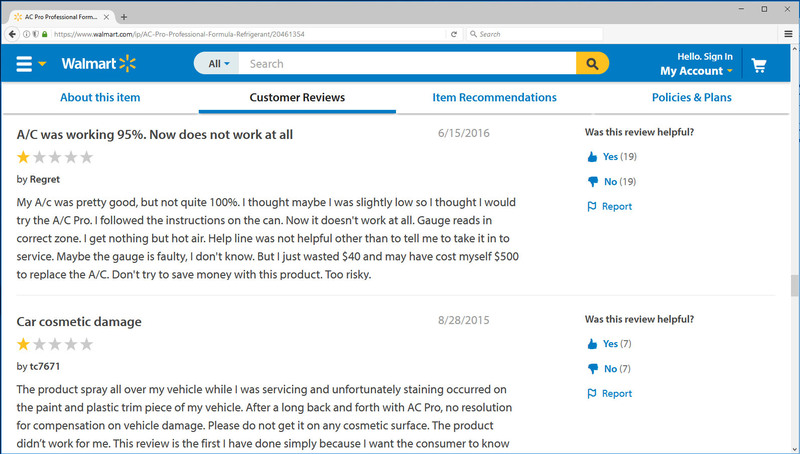 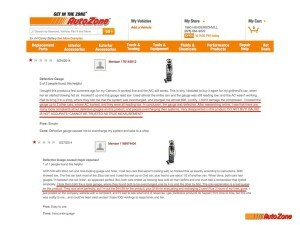 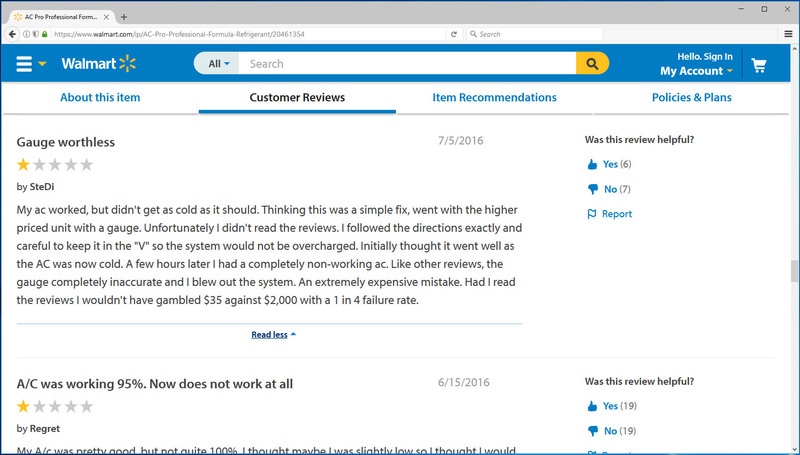 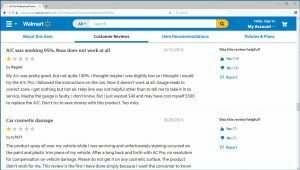 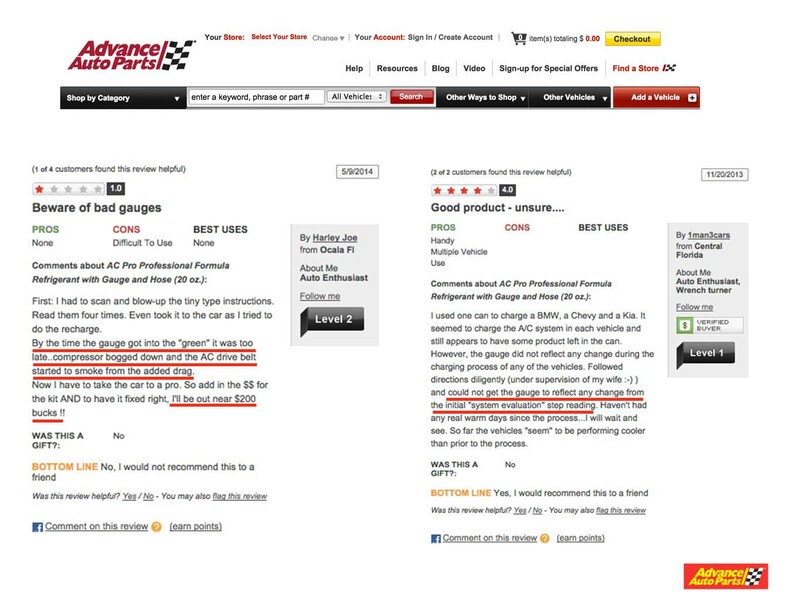 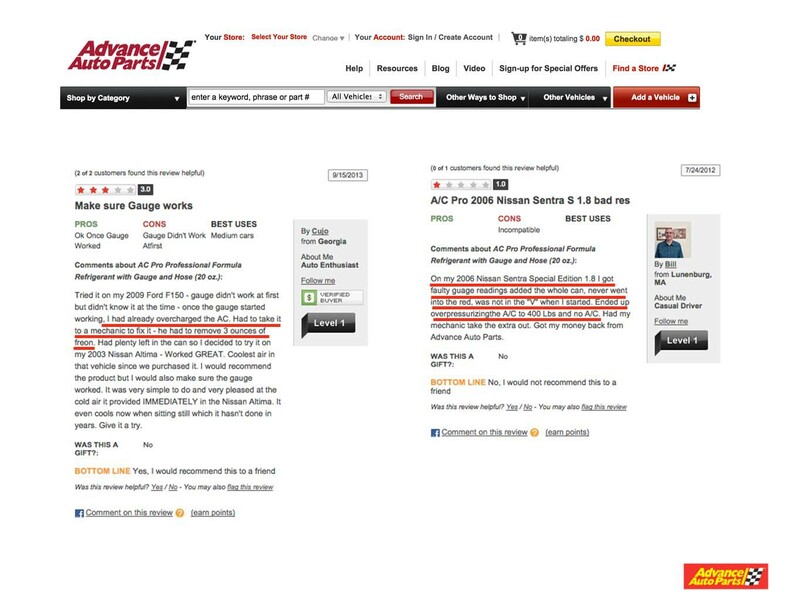 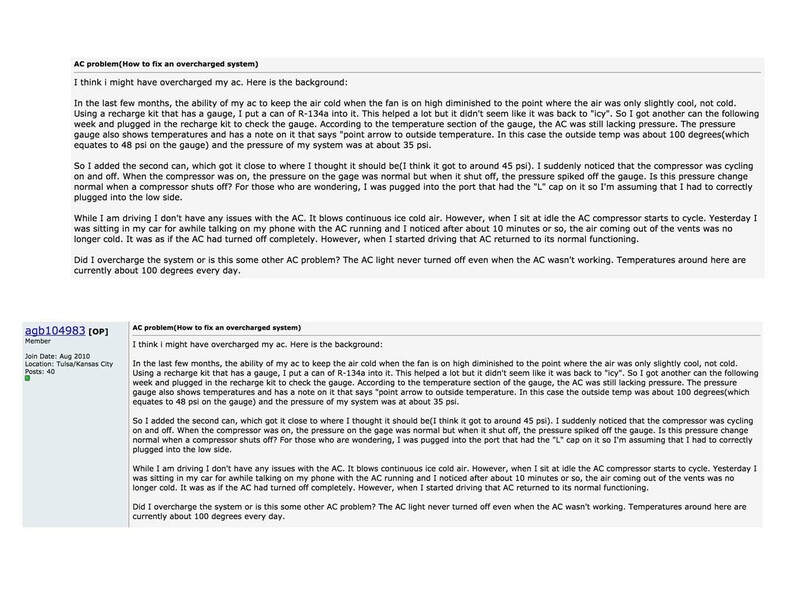 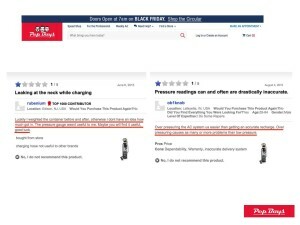 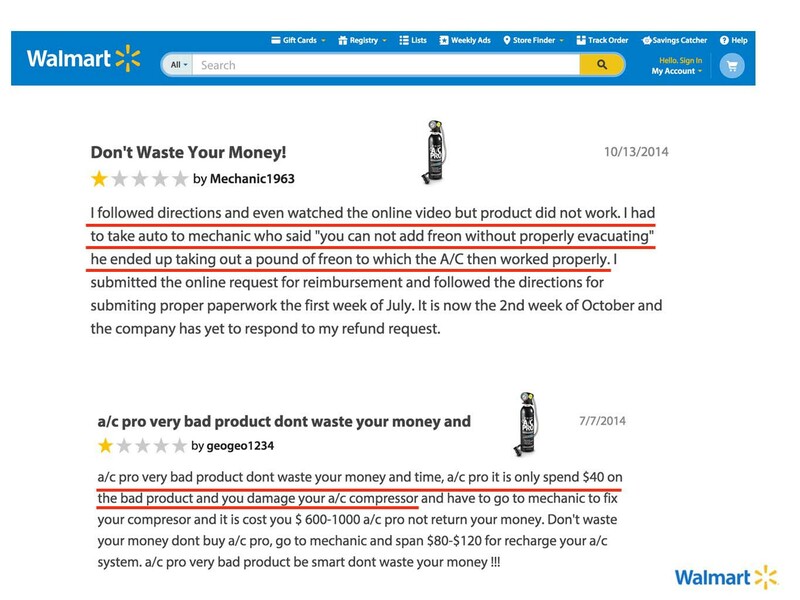 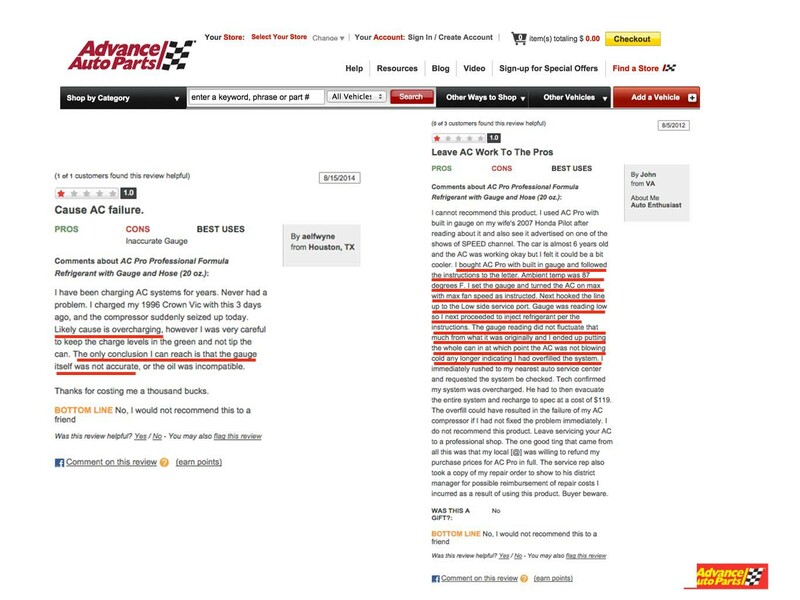 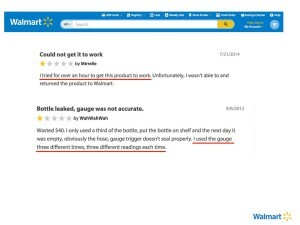 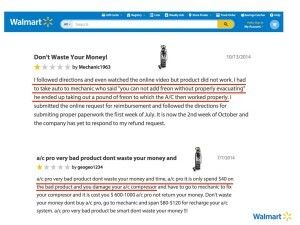 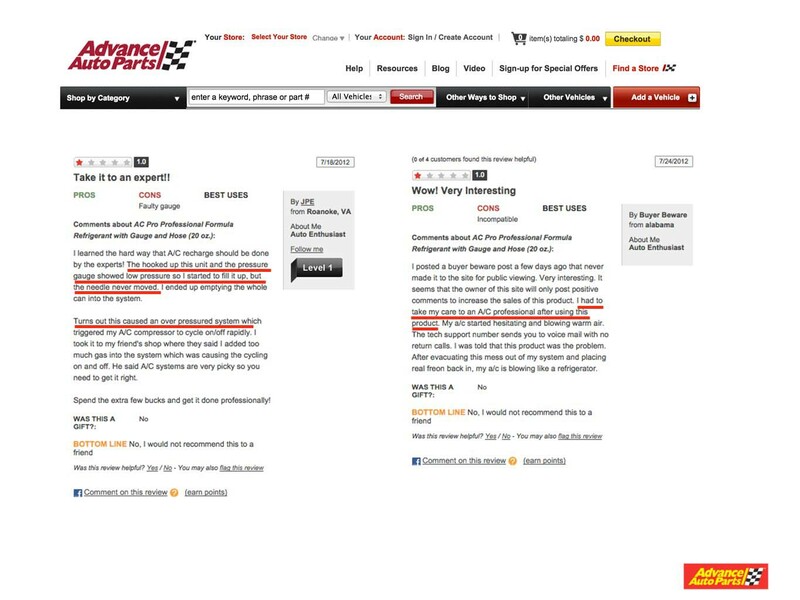 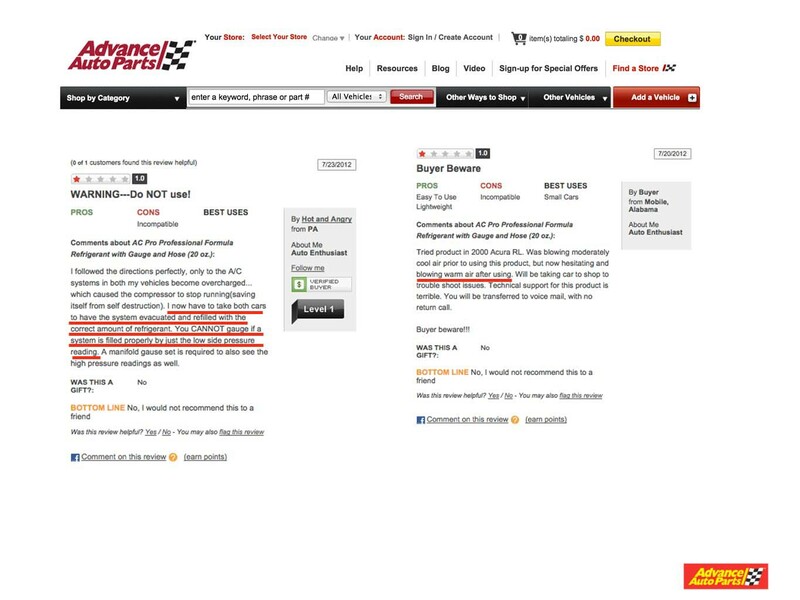 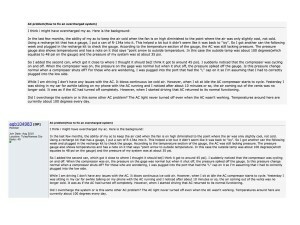 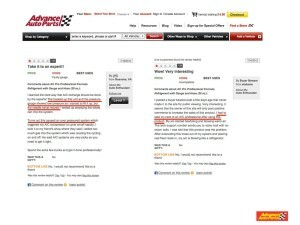 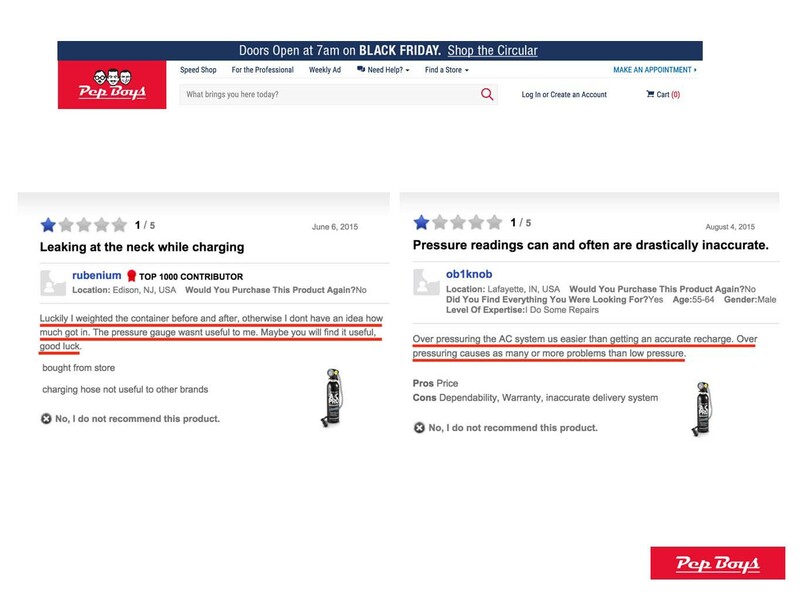 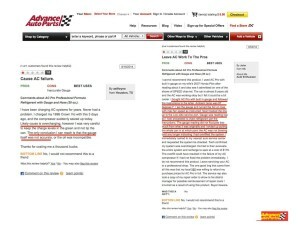 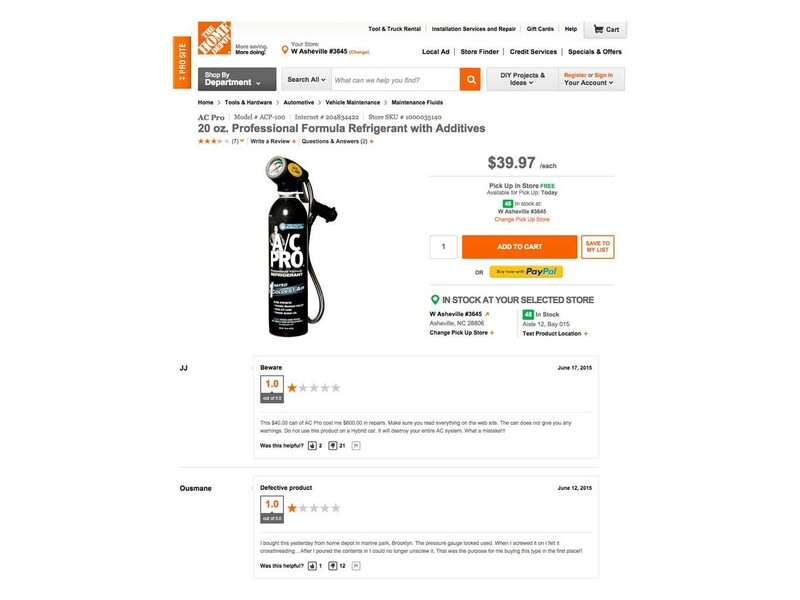 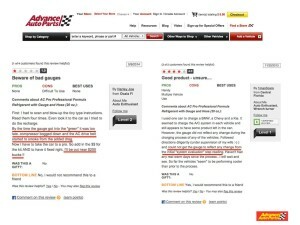 Check out these testimonials from major retailers and see some of the problems caused by overcharging. 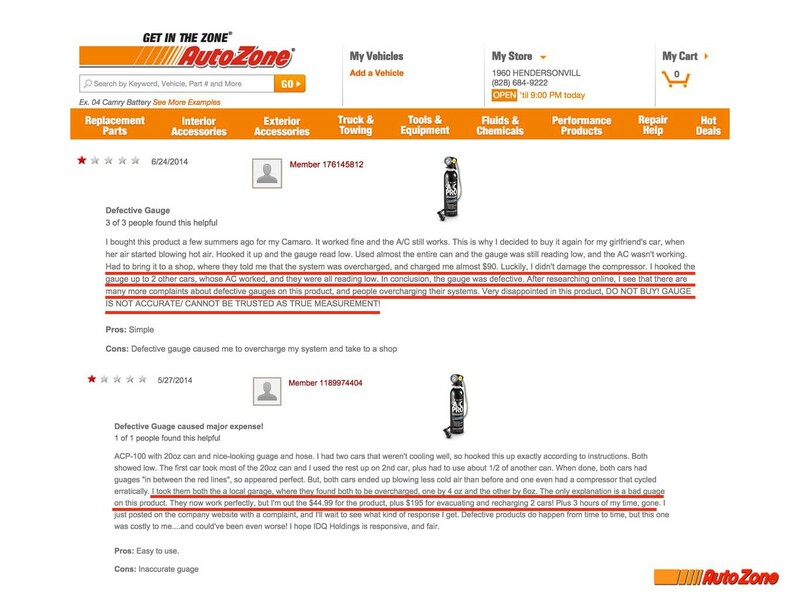 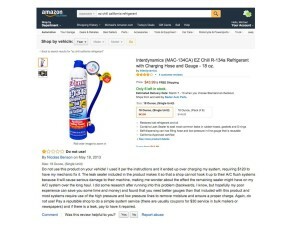 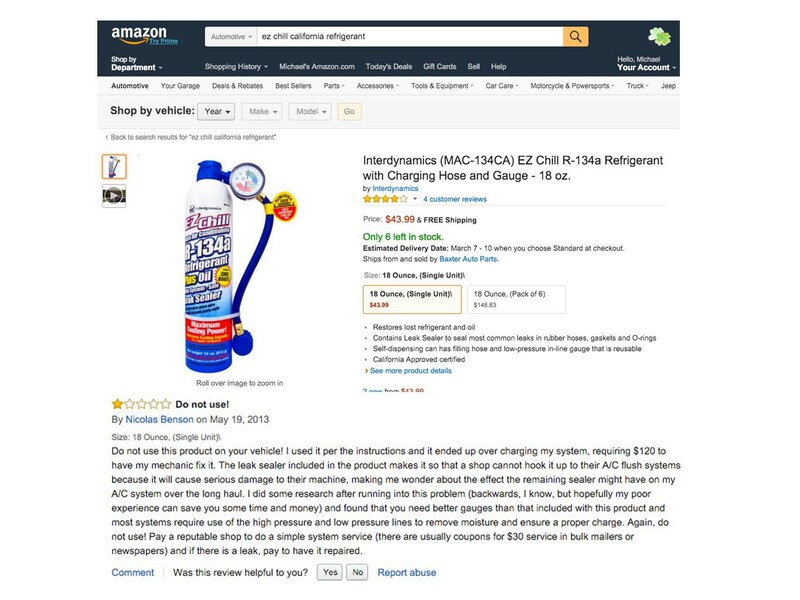 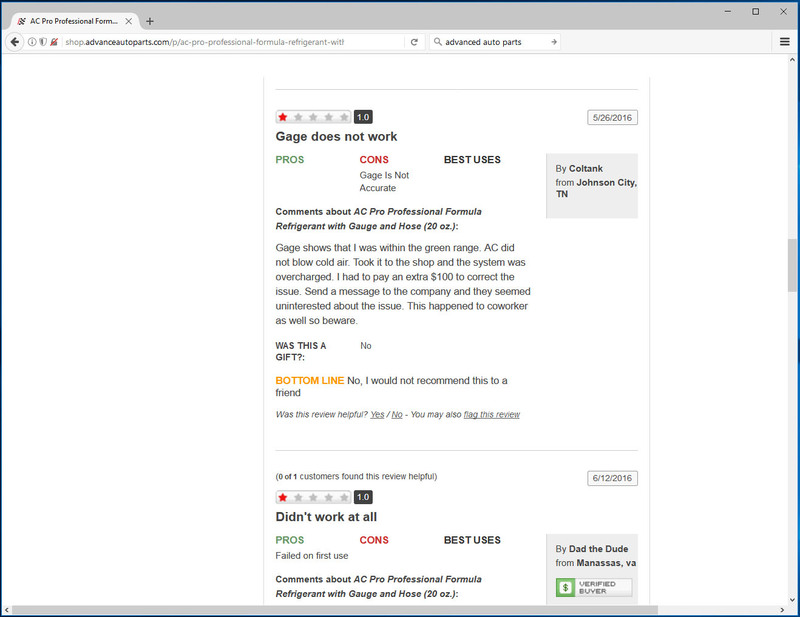 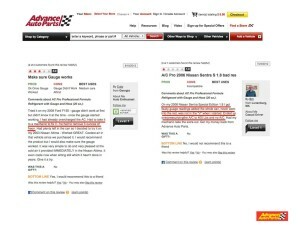 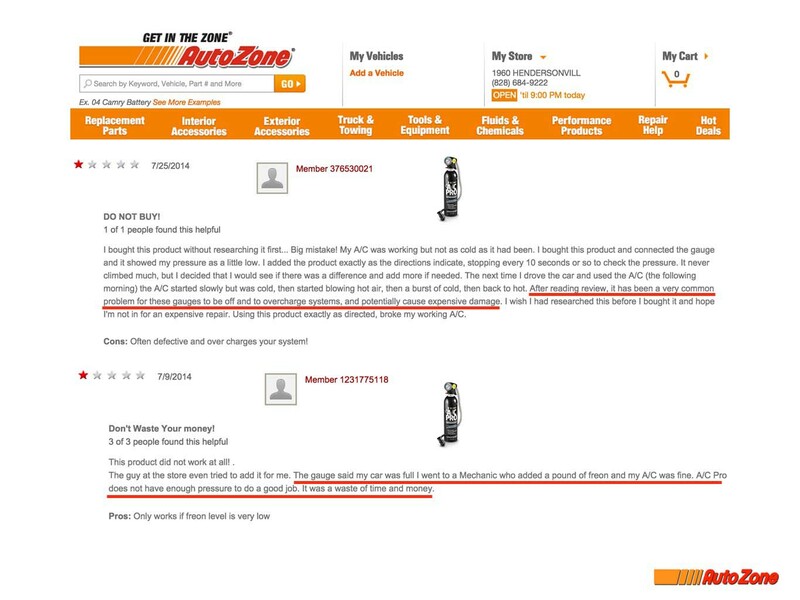 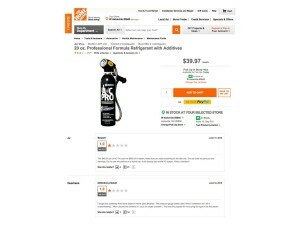 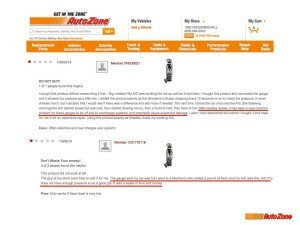 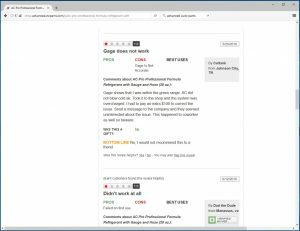 Testimonials are verbatim as found on retailer websites. 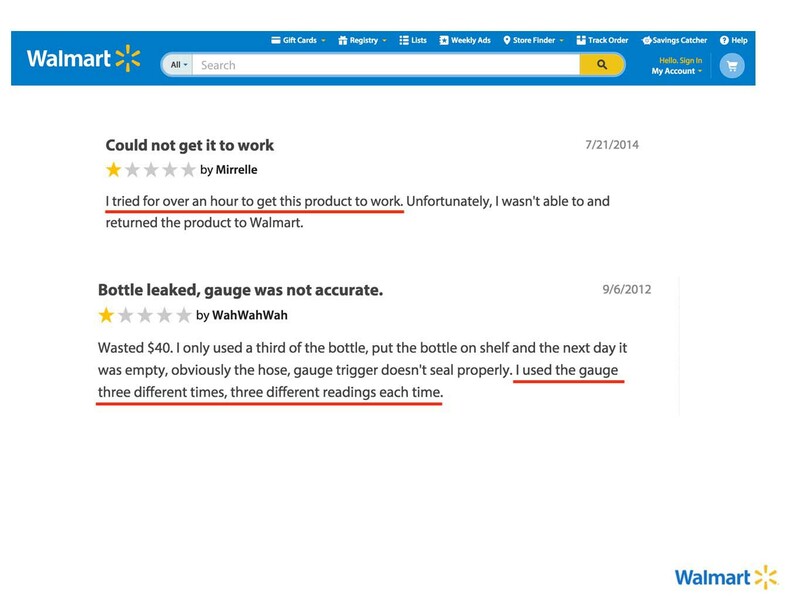 Underlines added for emphasis.